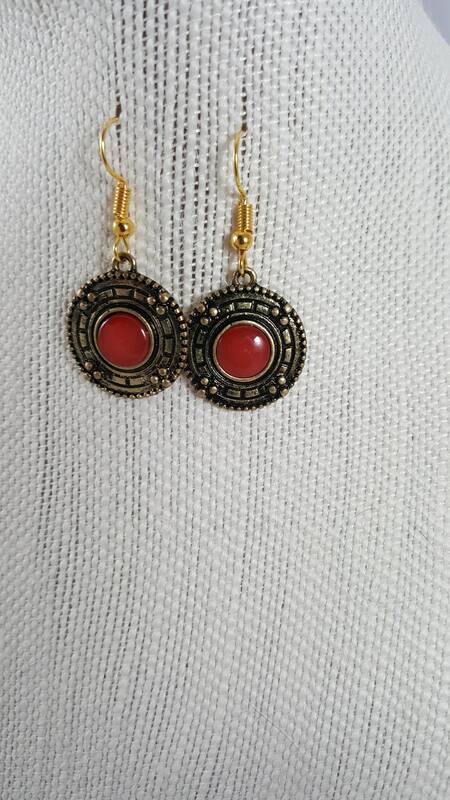 1 round gold earrings with a beautiful ruby red gem stone. 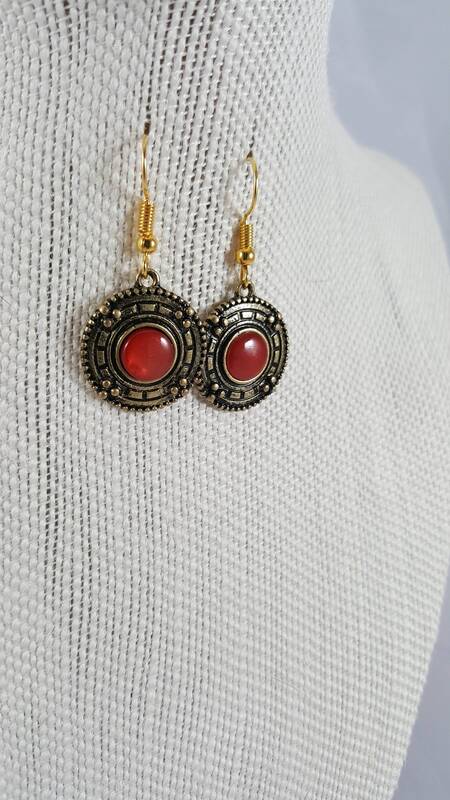 1" round gold earrings with a beautiful ruby red gem stone. 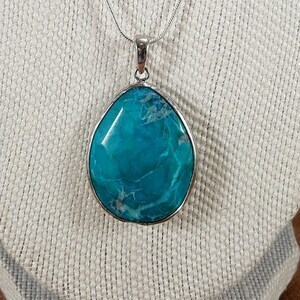 18" Silver rope necklace with a 1 1/2 " Turquoise pendant. 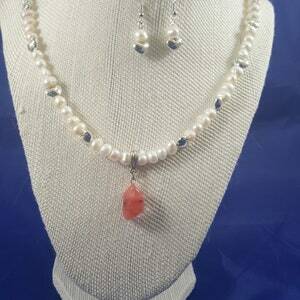 Pendant has 2 wearable sides. 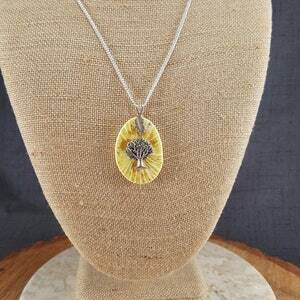 Tree of life pendant on a yellow ceramic pendant on a 20" silver chain. 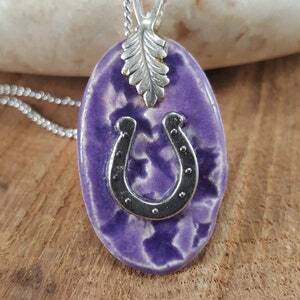 Beautiful horseshoe purple ceramic pendant on a 20" silver chain.